I actually didn't know until recently that the Bible contained a song written by Moses. Just before God took Moses up Mount Nebo to see the Promised Land from a distance, and to die, He commanded Him to write a song. Instead of telling God he wasn't good with words as he did when he was younger and the Lord sent him to pharaoh ... it appears Moses simply obeyed. One of the men who walked closest to God on this earth had grown to trust Him and simply obey Him without questioning. I pray to take that as a lesson now, at 37, instead of at 120. He not only wrote the song but taught it to the people of Israel. His song starts with utter praise ... praise for who God is and what He has done for Israel. 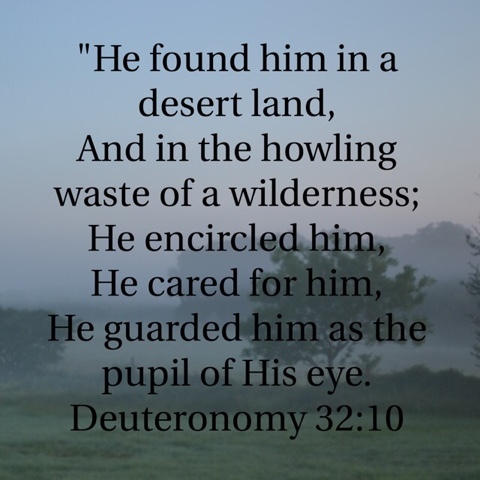 His care and protection. 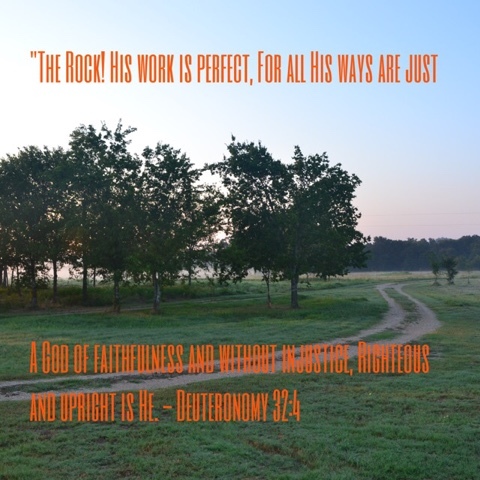 Moses describes a God who is perfect and trustworthy. Who cares for His children like a mother eagle over her nest. Picture a mother eagle ... razor sharp vision over everything below her. Gleaming talons and a quick beak to provide and protect. I once watched a mother bird hover over her young on a Texas summer afternoon bleary with waves of heat ... she perched fully exposed to the sun and shaded her young. 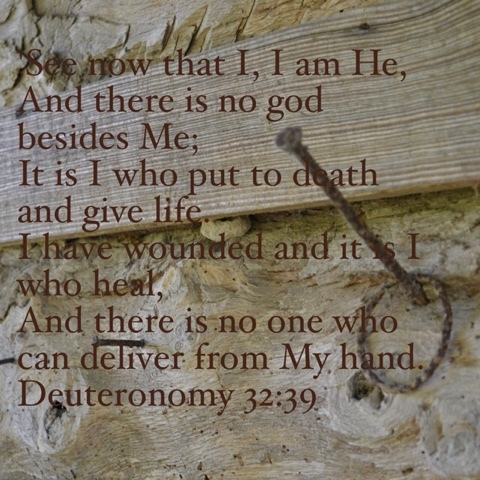 That's how Moses equates God's care of His children. He encamped around them and guarded them. He sent impossible food in an impossible place. Nourishment and refreshment flowing from the rocks around them. 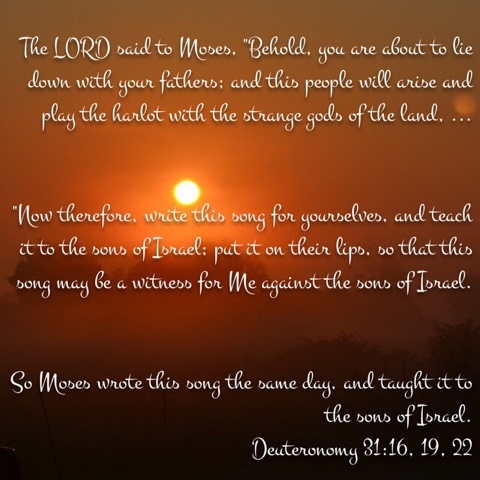 But the song continues, because the people will turn, as God predicted to Moses. Eventually, even after seeing God's wonders ... miracles in the desert ... foes scattered like wheat ... they still turn to other gods. The the Most High God who spoke the universe spinning into the vacuum of nothingness becomes jealous and angry. The only reason He doesn't utterly destroy them is so that their enemies won't think they did it. He still wants the world to know they are His children, whom He disciplines. How frustrating we all must be in our ignorance. We don't heed His warnings. 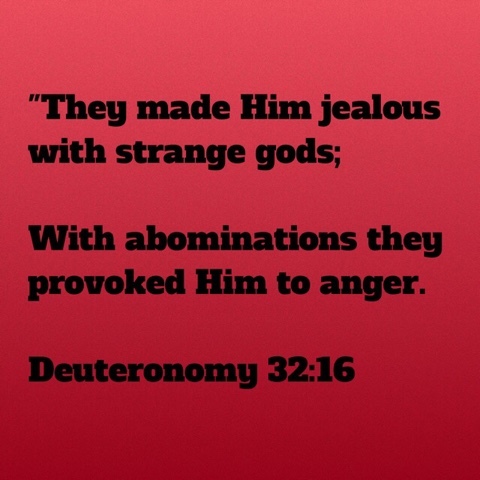 We stir His wrath against us then scoff that if He were a loving God He shouldn't be angry. But despite all this ... mercy. His arrows will turn from His children to their enemies who have laid them waste at the last moment. 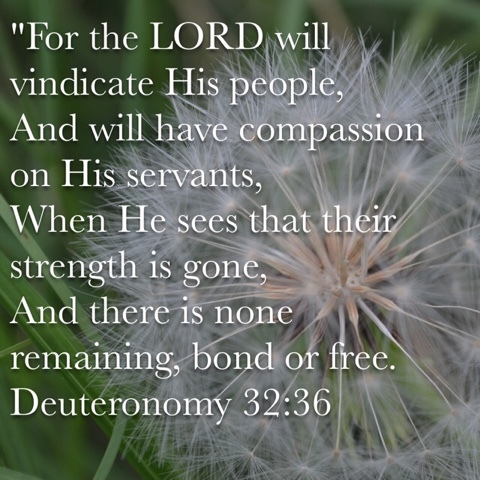 His compassion will overrule even as they are overcome. His arrows will be drunk with the blood of those who set themselves against His people. And His children will once again rejoice. We are not show mercy because we have been shown mercy and compassion. Even when it doesn't feel like it ... we have the promise of its outpouring, in the end. Vengeance is His. Even now we would do well to heed Moses' cry. He who finally, finally learned not to question the Most High God.